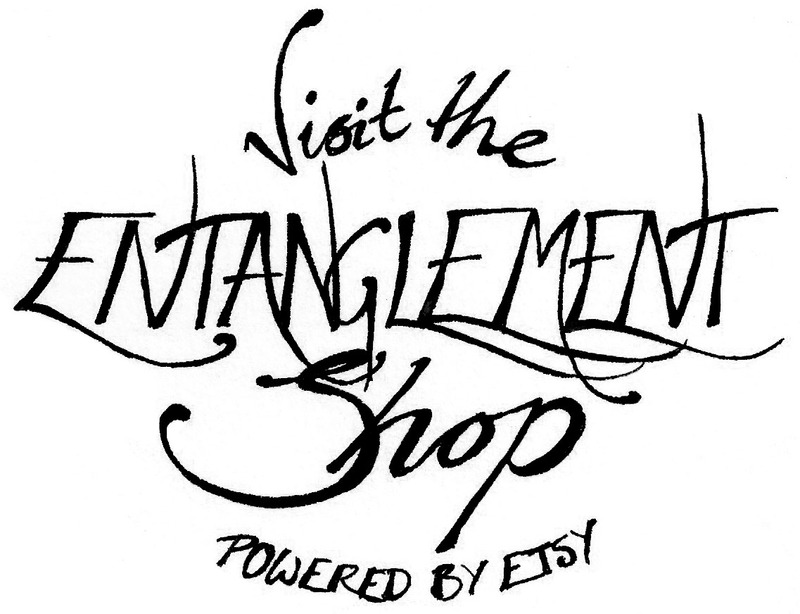 Continuing from yesterday’s post of doodles and designs, here’s a rough mockup of a more streamlined ‘entanglement.co.uk’. I’m hoping that the new layout will direct people to the various parts of the site more efficiently. 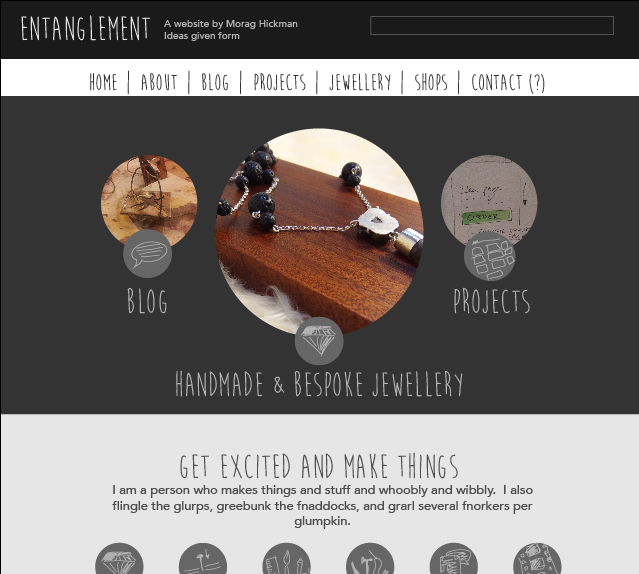 Now I just have to design another 3 layouts for the jewellery sub-site, 1 layout for the ‘projects’ page, one for the blog, and one for the actual items you’ll be looking at! Then the question is how to achieve various bits of functionality, what theme to use as a base, and how to hack it to look as I wish… Phew!